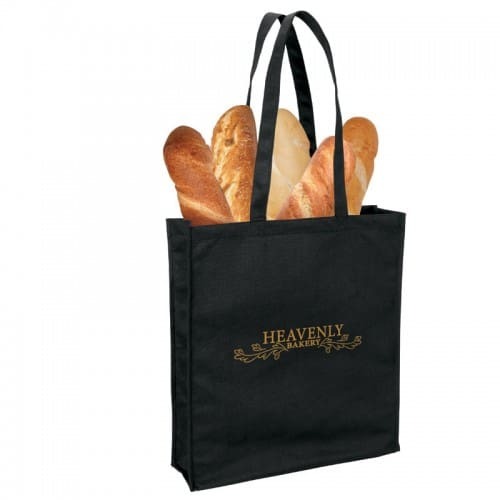 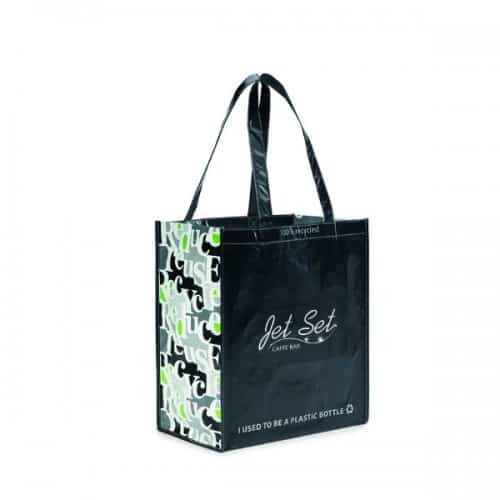 Our 100% PET recycled tote bags are durable, reusable, attractive, and will last for years as they are carried around showing off your name and logo like a mobile billboard. 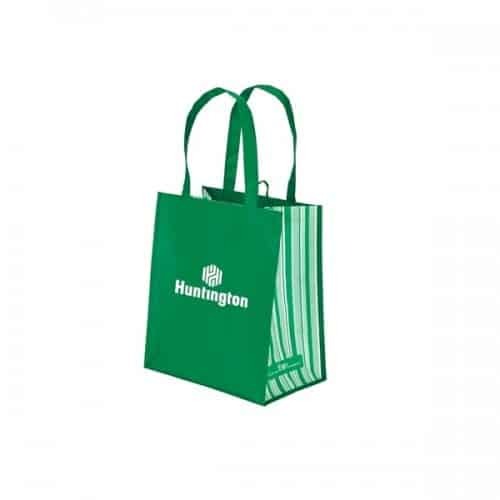 Our wide selection of colors, sizes, and styles means you can easily customize you bag to match your needs and your branding. 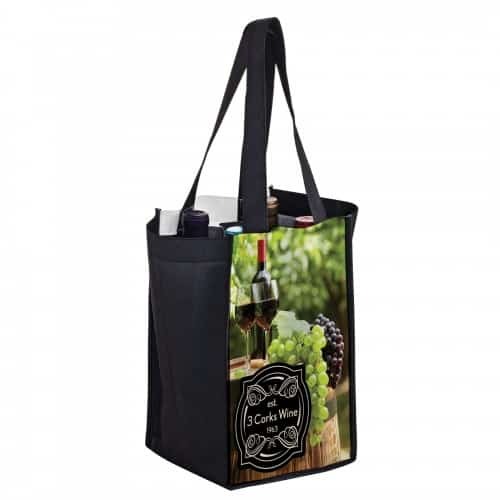 Easily customize your order with your name and logo. 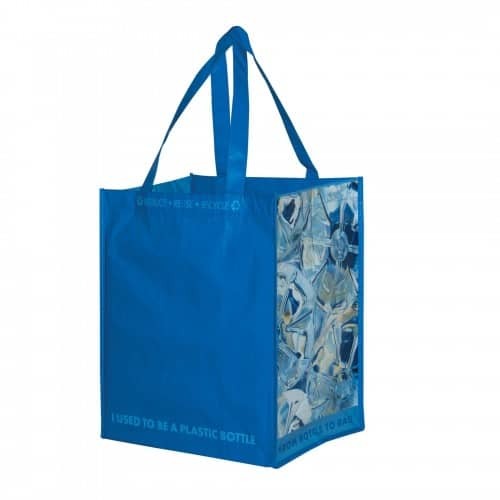 Looks and feels like fabric but is made from post consumer recycled plastic bottles and containers. 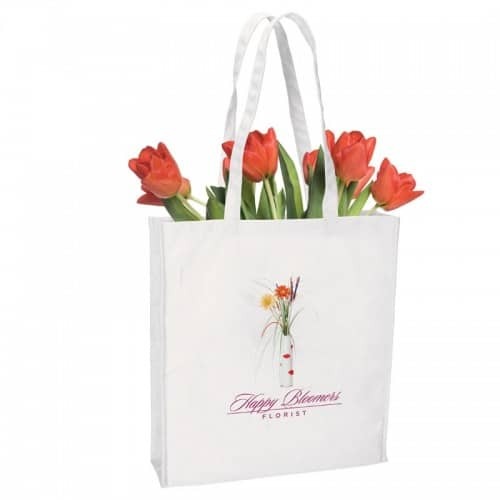 Durable and eco-friendly, long lasting. 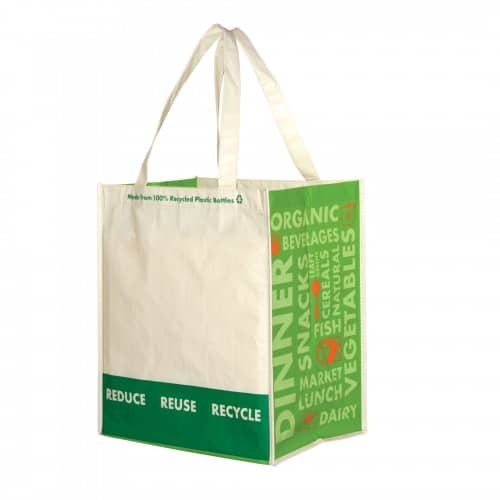 Reusable bag made from post consumer recycled materials. 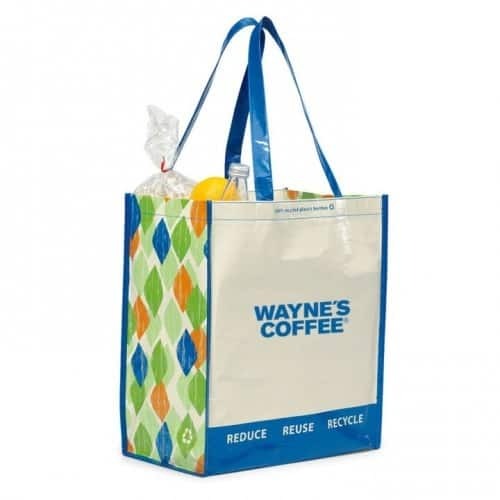 This bag reduces waste and is strong and durable. 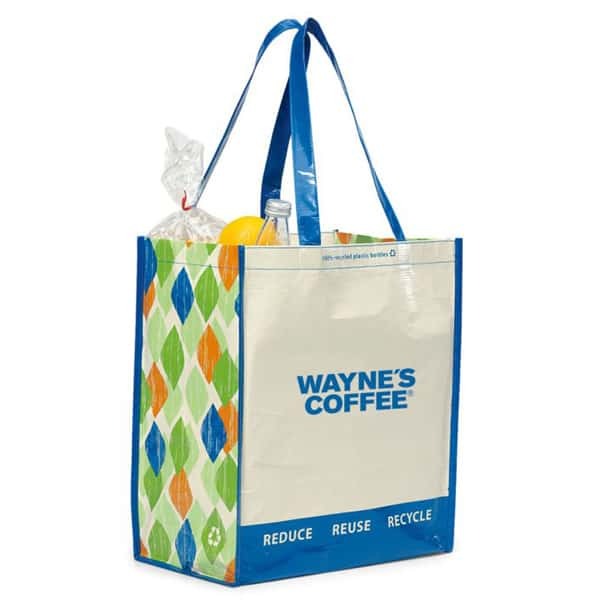 Requires 2/3 less energy to produce compared to new plastic. 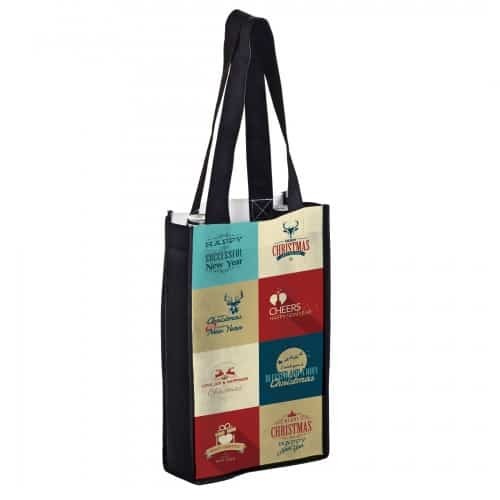 Can be blended with other materials to make a nice looking reusable and earth friendly tote bag. 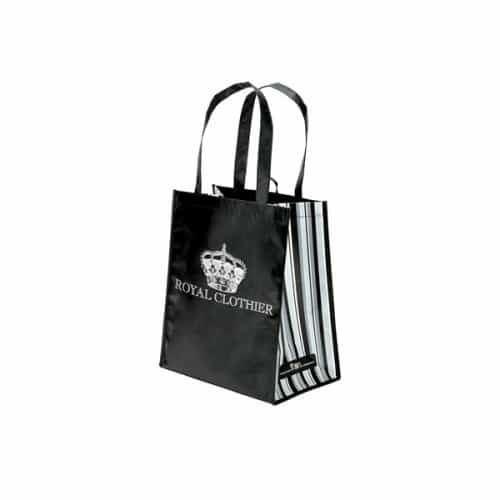 Add your logo for maximum impact and marketing value.